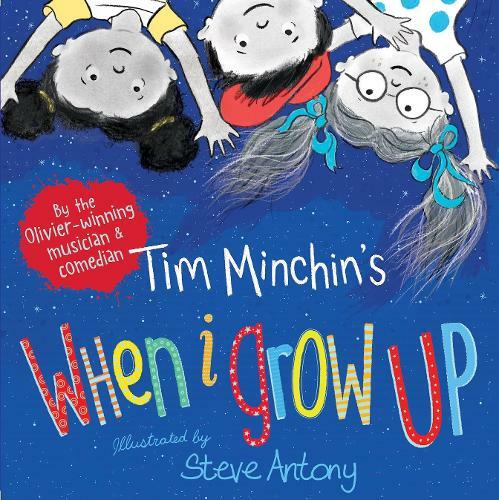 This hugely exciting picture book collaboration by internationally celebrated musician-comedian Tim Minchin and award-winning illustrator Steve Antony is an absolute treat for all ages. Inspired by Tim Minchin's hit song When I Grow Up from Matilda the Musical, the book takes a humorous yet moving look at adult life from a child's perspective. Grown-ups surely have all the fun as they must eat sweets every day, climb the biggest trees and watch cartoons till their eyes go square. But do they really...? What a superbly written and beautifully illustrated book! My daughter and myself loved this book she said it's exactly how it's going to be when she grows up!